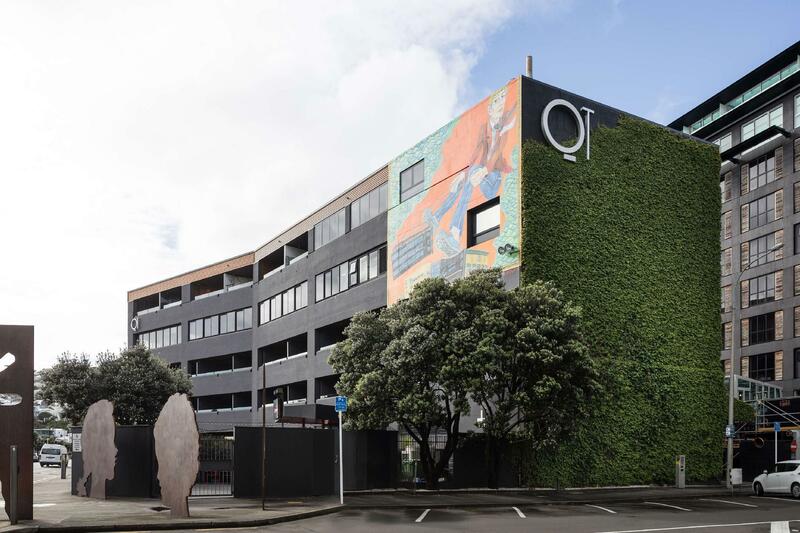 يشكل QT Museum Wellington بموقعه الممتاز في المدينة نقطة انطلاق جيدة لاستكشاف أفضل ما فيها من معالم ومناطق نابضة بالحياة. يمكن من هنا للضيوف الاستمتاع بسهولة الوصول إلى كل ما تقدمه هذه المدينة النابضة بالحياة. يوفر العقار بفضل موقعة الجيد وصولاً سهلاً إلى أهم معالم المدينة.
. إن حسن الضيافة والخدمات الراقية التي تعرف بها Rydges Hotels & Resorts تغني تجربتك في QT Museum Wellington. يقدم هذا الفندق العديد من الخدمات الكفيلة بإرضاء أكثر الضيوف تطلباً. في QT Museum Wellington غرف نوم يزيد عددها عن 161 صممت بذوق وعناية لتوفر لك كل وسائل الراحة . بعضها يحتوي أيضاً على تلفزيون بشاشة مسطحة, رف للملابس, قهوة فورية مجانية, شاي مجاني, مرآة. يقدم الفندق مجموعة رائعة من الخدمات كمثل مركز للياقة البدنية, ساونا, حمام سباحة داخلي, سبا، لجعل إقامتك تجربة لا تنسى. يشكل QT Museum Wellington بخدماته الراقية وموقعه الممتاز، قاعدة مثالية للاستمتاع بإقامتك في المدينة. يوفر العقار خدمة صف السيارات. يخضع مكان انتظار السيارات للتوافر. على النزلاء الذين ينوون الحضور بسياراتهم التواصل مع العقار مسبقًا. Loved our stay at QT Wellington, we especially loved the amazing artwork on display in the lobby. The room was pure luxury with a lovely view of the harbour. We would have no hesitation recommending QT Wellington to others and hope to return soon! Everything you need even a Nespresso machine. Some milk in the fridge would have been nice as had the milk frother. My only thing was the bed was way to soft and the mirrored wall but hardly a deal breaker. We only stayed one night so not much time to sit a relax. Would stay again. The best thing happen to us in Wellington is we were able to stay in QT. A gorgeous hotel transformed from a museum. Awesome room, service and bar. What's most important, the restaurant is the best we've experienced in NZ! (Sorry the name is hard to spell... But definitely related to hippo and I just love hippo!) I would love to go back to QT when I can, even just stay in the hotel, do some reading and have a nice drink at night. Second time here for a night away escape. Great fun! Close to everything you need. Great art work and a moody vibe. Wow! This hotel was moved from the current location of the Museum across the street. We stayed in a JR. suite and it was worth it. The art work in the hotel is fabulous, and Hot Sauce restaurant was fun with good food. Would absolutely stay here again - loved almost everything! What a great, creative establishment! The only suggestion I would make is that a concierge is provided with a list of suggestions when guests ask for local recommendations - when we asked he was not able to provide answers to our question. I have stay at this hotel before when it was called the Art Museum Hotel and love it!! Since then it has changed hands and is now the QT museum hotel. It has lost some of its quirkiness and charm, which is a shame, however, still a lovely place to stay! Watch out for the building works!! We woke up to drilling at 8:30am on Saturday morning. This is always a wonderful place to stay - a beautiful hotel which treats you well regardless of whether you are in a suit or shorts and jand also. 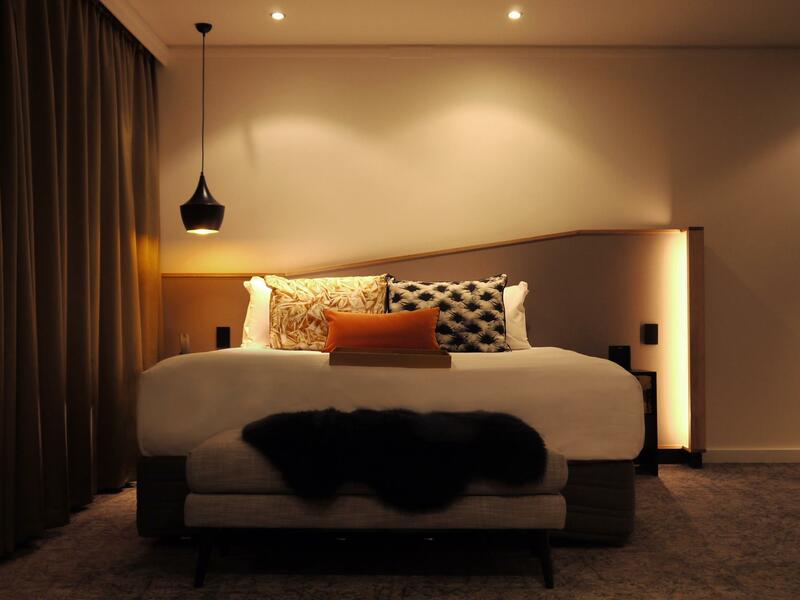 Quirky decor and comfortable beds are key to a great night's sleep. And the location cannot be beaten - across the road from Te Papa (the national museum), a short walk away from various restaurants, and one block away from public transport. This is a high end hotel with a unique feeling. Perfect staff, intelligent management, impeccable rooms, 2 min to Te Papa and 10 min to Cuba street. But it is like a world of its own. Each and every time I/we have a stopover in Wellington, we star here and it usually feels better than the whole vacation. What a lovely and quirky hotel! Such fun to stay there! The rooms are interestingly decorated as is the reception/bar area! The location is fabulous with Te Papa across the road and the excellent bar and shopping hub of Wellington a 5 minutes walk away! Would defo go back!! I know it seems petty, but crappy tv channel quality and no free wifi really does peg the score back. It's 2016 not 2001! Great location. Loved the bed, and the shower. I just expect the little details to be there to give it a 5 star rating. The Hotel was going through renovations when we were there but other than one of the lifts being out for a short time you wouldn't have known it. Our room was superb. We also booked a room for our kids (older children) which was a little tired but was part of the planned renovation. Highly recommended. Location and view, the decoration, especially in the public areas and the fitness opportunity. The stay was definitely enlivened by the quirky decor of the public areas with the art exhibits being very fun. The several motorbikes and large art installations were interesting. 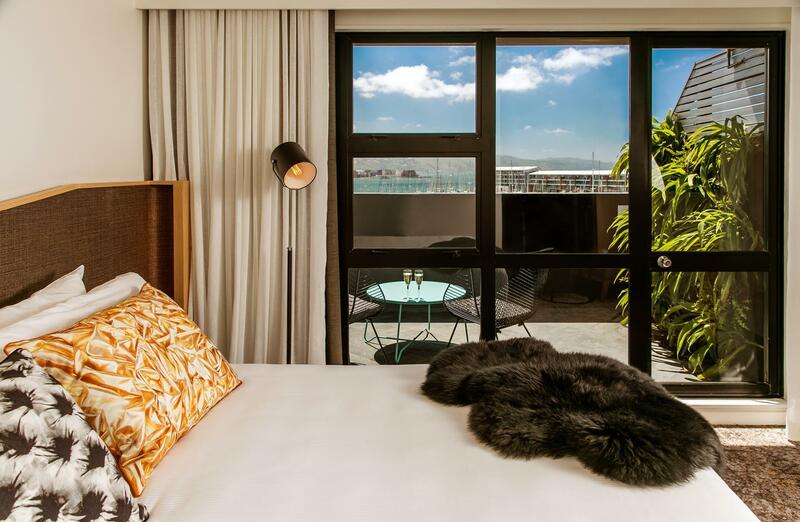 The location is good with a 10 minute walk to Cuba street and the waterfront walk being just the other side of the road. There was some renovation of rooms happening on our floor, but to the hotels credit apart from the smell of new paint in the corridor it went largely unnoticed. The Museum Hotel is not your standard Hotel.If anything it is a little quirky but I mean that in a positive sense.If you like to stay in a Hotel with a lot of character but at the same time in a more than satisfactory room with good service then this hotel is well worh considering.It is located near the Wellington waterfront across the road from the National Museum ( Te Papa) & close to all that Central Wellington has to offer.What makes this hotel different are the common areas in which a great collection of Art is on display.This collection combined with the furniture/layout gives it its rather unique feel.My wife & I loved it! We thoroughly enjoyed our stay in a very comfortable and elegant hotel. The staff were helpful, courteous and pleasant. We were sorry to leave and will return whenever we have occasion to be in Wellington. 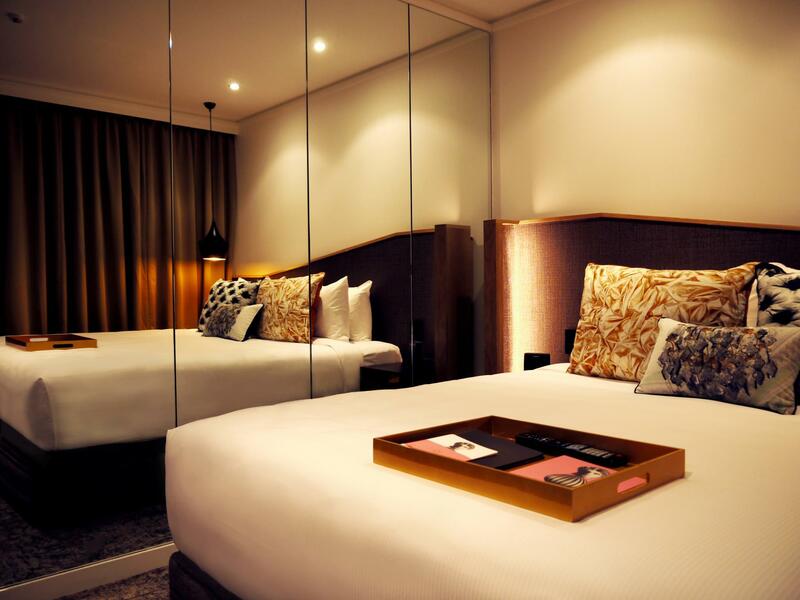 The Museum hotel is located across the road from the national Museum and is walking distance from most places in Wellington. The Staff are excellent,well trained & willing to help guests enjoy their stay. The Hippopotamus resturant is excellent with views over the marina. The lobby has many works of art being displayed from motorbikes to sculpture,there are tours of Wellington's many art museums and the hotel is included in it! I was upgraded to a residence room at the back wing of the hotel which has a fully equipped kitchen. Overall one of the best 4 star hotels I have stayed in. beautiful hotel very trendy and interesting. rooms were very comfortable, loved the deep bath. location was excellent as straight accross the road from te papa, and around the corner from courtney place where everything is in walking distance. i thought the only thing i could find fault with was the tv remote as one of my children accidently booked a movie without knowing. we only learnt of this on our exit, we were charged for this mistake, otherwise our stay was okay. this hotel is suited for couples or business people not families. very pretty hotel. right across the street from the te papa museum and some grat food/bars a few blocks away. walking distance to everything. room was very big - two bedroom suite for one person - comfortable bed - not fancy design. hippopatamus bar was lovely - grest view of harbour. staff was very friendly. much nicer then staying in the main downtown area near the shopping/cable car.